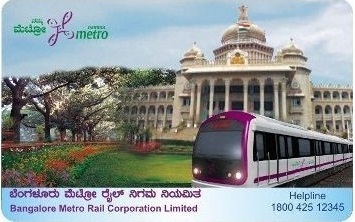 E Sreedharan and I started the drawings of Bengaluru Metro Phase 1 and 2. When the airport was ready to be used, we started work on the Metro linking the airport to the centre of the city. We looked at a high speed rail link to the airport from MG Road through Cubbon Road, Raj Bhavan, Ballari Road was most feasible and the train can go up to a speed of 160kmph. It would have taken less than half an hour to reach the airport and people from all areas can access MG road easily . We also created a model wherein private infrastructure companies would be partners of the project. This means they will invest build maintain for a contractual period. That way, work would have got done faster. We also picked technical experts who could monitor the work. The facilities to check-in baggage at MG Road Metro station and check-out with baggage in other cities was also part of the de s i g n . We also got permission to go under the Indian Air Force base in Yelahanka. But just as we were ready to get final clearance for the project and call tenders during 2011, a few politicians and former BMRC chief N Sivasailam dumped it completely . Despite the snobbish behaviour of the government, we went ahead and prepared a detailed project report on a high-speed rail link between Chennai and Mysuru via Bengaluru that would cost much less than what government estimated, around Rs12,000 crore. The government thinks we have vested interests. It simply disregards technocrats.It’s always an ego war between technocrats and bureaucrats and bureaucrats won here.Going by BMRC’s performance so far, as a project company, what else do you expect? Do you think it will gear up for this project? This government will ruin things as it has done on other matters.